I've had this one for a while and just got around to watching it. I wish I got to it sooner. I've never really played with the Lasso but I think now I will. This instructional has some great options that I can easily adapt to my game! Pick this one up and learn one of the more powerful and underutilized open guard games around. This instructional focuses on lasso guard with a butterfly hook, which I had never experienced before. The instruction is clear and thorough, and it has too notch production. Drilling the techniques sent my training partner and I down a rabbit hole where we discovered even more sweep options than what is laid out in the set. Overall, it is well worth the price and really interesting content. 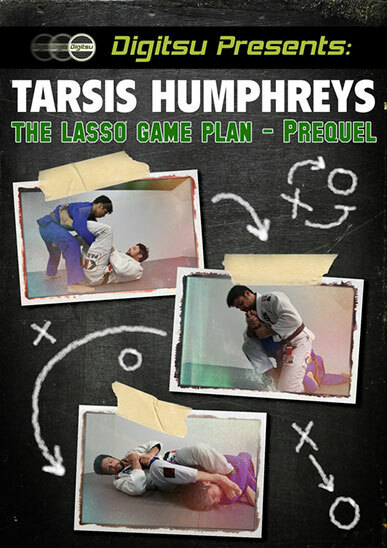 Professor Humphreys shows some great moves from the lasso. Worth every penny if you use lasso guard!